The word solidarity came strongly to mind last week as I was applying shades of purple eye shadows to compliment the purple top I wore that day. I was dressing in purple for a reason. The impetus was admiration for a girl I had never met in person, rather through her mother and others, I feel like I know her. Her name: Victoria. 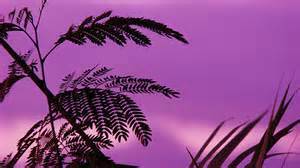 Though Victoria had no vision to distinguish colors she did understand colors, and particularly the color purple. To Victoria a purple day meant an unusually happy or good day. For her to state, “It’s a Purple Day!” was to express her joy-filled delights. Last week would have been her 19th earthly Birthday, which she celebrated from Heaven. So last week, on January 22, 2015, her birthday, I wore purple to celebrate Victoria’s life but also as a show, or type of solidarity. Almost a week out, I keep ruminating on the word. It isn’t the prettiest word, like words that I usually choose to let roll around in my mind just because I like them. But it is a word of importance. Sometimes hearing the word solidarity makes me think of a closed group. One I may not fit into. One where being on the outside leaves a feeling of exclusion. But I have a different thought. I raise the word for solidarity to be universal and freely lent to others—all may join in. All can show support for one another! How many times might we come alongside a person (in person, online, in social media) to say, “Hey, I am here, I am with you in this. I may not get it all, but I am here, none the less!” I tend towards this kind of living the older I get. I am free from wondering if it is okay to raise the solidarity flag. I can stand with those I know well and total strangers, and I can do so without casting a judging eye that says, “No one else is welcome here.” This is a good and generous way to live—to find or stumble upon those who just need to know someone cares, has their back, has been there before—and that they are not being judged, they are cared about, etc. Can I start a solidarity movement of this sort? Do you want to join it with me? If you do, I think it will be a Purple Day!